Molded glass vials are clear or amber in color, of glass Types I, Types II and Types III. Molded glass vials are produced with the injection of liquid glass into a mold and then the blow of air into the mold first forming the neck and then the body. Relative products are: vials for injections, infusions, syrup vials, droppers as well as pill vials. Molded glass products are also present in the Cosmetics Division with perfume vials and crème jars. the liquid glass is transformed into very long glass tubes using tube extruding machines. the tubes are transferred to transformer factories where flames are used to cut and transform the tubes into containers. Relative products are: injection vials (up to 100ml), ampoules, pre-filled syringes and cartridges. Chlorobutyl and Bromobutyl (Halobutyls) based rubber formulations for antibiotics, infusions and lyophilization products. 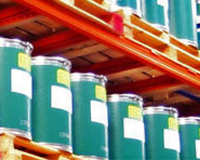 BIMS or EXXPRO (Brominated Isobutylene Methyl Styrene) for high purity formulations. Nitrile (NBR) components for solutions with mineral oils (mainly in the veterinary field). Plastic screw caps (simple or childproof) for syrups. 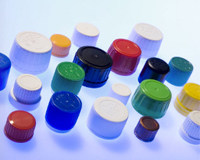 Push-off aluminium caps for injection vials, infusion vials and lyophilization vials. Dosing pipettes for oral use. Plastic vials and components are a vast category which includes items such as eye-care products, pill containers, pumps and inhalers. 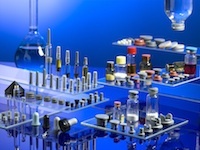 Plastics can be used on both the Pharmaceutical and the Cosmetics Markets.